The community of Electric vehicle users is growing rapidly and Exide (India) has been constantly contributing to the growth. The CEIL 6C225 is the latest development - a blend of improved high density paste formulation and unique glass mat separator for better positive active materials retention. This ensures longer life of the battery. The innovative compositions and state of the art process is a result of 60 years of accumulated experience of Exide, in research and development, manufacturing and field operations. 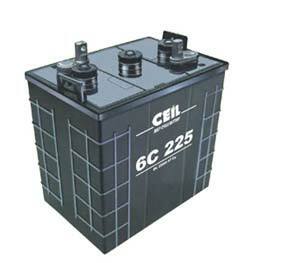 The new battery is designed and manufactured to perform at its best under deep cyclic operations. It is suitable for a wide range of golf carts, floor cleaners and special electric vehicles.